Assistive ambulation devices for the ankle can bolster walking speed and safety and lessen the risk of injury to the joint. But which of 2 technologies is best for your patient? People with multiple sclerosis (MS) have difficulty walking: Gait impairment, including the reduced ankle dorsiflexion of foot drop, is one of the most common indicators of disability early in the course of this progressive autoimmune disease of the central nervous system, affecting approximately 75% of people with MS.1 Assistive technology, such as ankle–foot orthoses (AFO) and functional electrical stimulation (FES), increases the safety of walking and the speed of ambulation (even then, only about one half of patients remain ambulatory 15 years after disease onset).2,3 Assistive technology also reduces the risk of injury to the knee and ankle and reduces the effort of ambulation. There are benefits of, and a downside to, both AFOs and FES. Knowledge of the literature, experience, ongoing refinements in technology, and careful assessment of the individual patient will help you select the device that holds most potential. How do these technologies work? An AFO can effectively eliminate foot drop by maintaining the ankle in a neutral position, although it has disadvantages for some patients (described below). There are many types of AFOs, including solid and hinged devices. Carbon-fiber AFOs have been in use for almost a decade; they are lighter and more comfortable than older AFOs—although not strong enough for patients who have a severe level of weakness. Carbon-fiber AFOs do not usually require larger shoes; molded plastic AFOs do. “An AFO can improve foot drop and is something many physical therapists or physicians prescribe as an inexpensive solution to improve walking,” according to Kathleen M. Zackowski, PhD, OTR, MSCS, MD, Senior Director of Patient Management, Care, and Rehabilitation Research for the National Multiple Sclerosis Society and Assistant Professor in the Departments of Physical Medicine & Rehabilitation and Neurology at the Johns Hopkins University School of Medicine, Baltimore. In her role, Zackowski looks for innovations to improve patients’ quality of life and influence the course of disease. She has found that AFOs and FES may offer benefits to people with MS. The cost of an off-the-shelf AFO can start at less than $100. Many US insurers do not provide coverage, or provide minimal coverage, for an AFO in the United States, however—making access to these devices problematic for many MS patients. a swing-pedometer switch that senses the angle and velocity of the tibia (Innovative Neurotronics, Inc., Reno, NV). 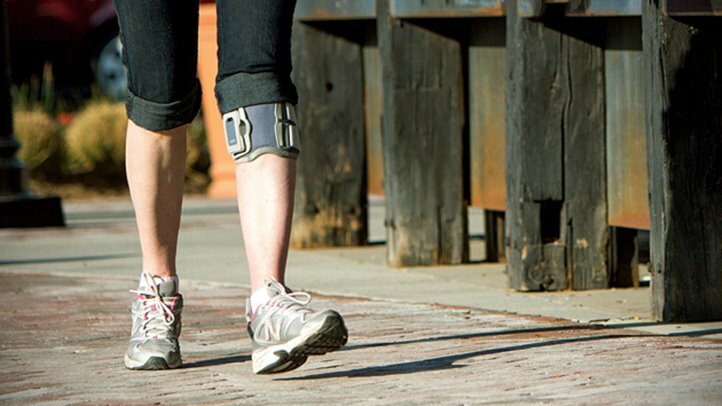 These devices have been found to protect the integrity of the knee joint and reduce the back pain that results from walking with an abnormal gait. Lower-extremity clinicians and many people with MS view FES as a promising alternative to an AFO; researchers are hard at work to solidify the science behind the technology. FES systems for MS have been prescribed in the United Kingdom since 2009, often covered by National Health Service insurance.4 In the United States, Medicare and most other insurers do not cover such devices for MS.5,6 Advanced FES systems can cost $6,500 or more, according to several clinicians interviewed for this article. FES does not usually require adjustments to footwear. Linda (Miller) Renfrew, PT, MPhil, consultant physical therapist in MS at the Douglas Grant Rehabilitation Unit, Ayrshire Central Hospital, Ayrshire, Scotland, UK, and others have studied outcome measures with the MS population and assistive technology, in an effort to achieve more clarity in clinical decision-making. Speaking with LER, Renfrew said that “the most common outcome measure to assess with both FES and AFO has been gait speed. Whether it is the best, is still a matter of debate.” The debate hinges in part on the quality of psychometric properties. Andreopoulou and colleagues16 called for more, higher-quality studies of walking measures in a 2018 review of walking tests evaluating AFO and FES use in MS. The researchers found 20 walking measures in 41 studies. The most commonly used were the 10-meter walk test, gait kinematics, and the Physiological Cost Index. However, only 10 measures reported psychometric information (internal consistency and test–retest reliability). Strong evidence levels were found for the Multiple Sclerosis Walking Scale-12 and the timed 25-foot walk test, and moderate levels for the 6-minute walk test and the 10-meter walk test. In a 2017 review of 19 studies involving 490 patients with MS who had foot drop on the effect of FES on gait speed, Miller and co-workers17 found weakness for blinding in all studies, but clinically meaningful orthotic effects of FES in the 5-minute self-selected walk test. 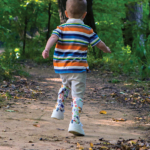 Some of the same researchers, including Renfrew, delved further into the effects on gait speed as well as the oxygen cost of assistive technologies in the first randomized clinical trial14 to compare initial orthotic effects of AFO and FES for this population. The trial included 78 participants, divided by modality of treatment and tested with and without their device. Outcomes involving patients’ perception of exertion and other experiences with assistive ambulation technology are also helping frame discussions. Khurana and colleagues7 employed several self-report questionnaires to help compare AFO and FES energy cost, efficiency, and effort in people with MS. In a preliminary, randomized, crossover study,7 researchers tested 20 subjects in 2 walk trials on different days (1 day with each device). Subjects then completed 3 questionnaires, the Fatigue Severity Scale, the Falls Efficiency Scale, and the Borg Scale of Perceived Exertion. Results suggest FES may allow many patients to perform activities of daily living with less perceived fatigue.7 The researchers also saw a greater reduction in ambulatory exertion in patients who have had their diagnosis longer or have a greater fear of falling, which, they say, may have implications for identifying those who might best benefit from FES for improving decreased activity levels due to fatigue and foot drop.19 For patients with a rapidly progressive form of MS, the sudden worsening of foot drop may prohibit further use of FES as an assistive option. Because investigation often leads to more product development, qualitative studies should complement traditional quantitative studies to gain a broader perspective, according to UK researcher Catherine Bulley, PhD, BSc (Hons). “There’s a growing recognition of the need to learn from the person who is experiencing services or equipment,” she said. Bulley, a reader (professor) in physical therapy at Queen Margaret University School of Health Sciences, Musselburgh, Scotland, was part of a team investigating the impacts of AFO and FES on MS-associated foot drop.20 Among the team’s findings from 2 small focus groups was that both AFO and FES devices showed positive and negative aspects, but that most difficulties often were outweighed by improvements in quality of life, such as the ability to participate in activities. “It can be easy for professionals to decide they are the expert,” Bulley said, “rather than, while linking to quantitative research, test products such as foot-drop footwear with the attitudes of patients, care-givers, family members, and others in mind, beginning in the early phases of design and continuing throughout.” Bulley is now engaged in evaluating the use of social media to communicate with end-users. For clinicians, the priority in providing an assistive device is patient safety in relation to trips and falls, according to Zackowski. “We also want to know which assistive technology for walking feels better to the person wearing it, and whether it actually improves their walking and is comfortable enough to use consistently,” she said. For foot drop, she said, many rehabilitation clinics have AFOs and at least 1 type of FES device that therapists use for an in-clinic trial. Device-naïve patients likely would try both devices to see how they feel. If the tingling sensation of FES is too strong, the PT can adjust the intensity. Mobility early in the course of MS may not be highly affected by the disorder, and clinicians often get pushback when assistive technology is suggested. Peiting Lien, PT, who practices at The Johns Hopkins University, in a community outpatient center in Baltimore, MD, said patients often express reservations about trying assistive devices because of cosmetic concerns. Eventually, however, patients come to terms with how such devices may benefit them. Lien’s clinic provides patients with a scorecard of the pluses and minuses of both types of devices and a trial of off-the-shelf AFOs of both static and dynamic design. Patients who are interested in pursuing FES are referred to a company representative for fitting because the clinic’s involvement is limited by the cost of purchasing successive generations of equipment and by time constraints for follow-up adjustments. Some patients seek help from charitable organizations and foundations to pay for FES. Anna Berry, PT, of the Andrew C. Carlos Multiple Sclerosis Institute at the Shepherd Center, Atlanta, GA, said patients may receive FES through a nonprofit funded by a grateful patient. “With this major advantage, most of our patients can walk out with an insurance-paid AFO as well as an FES, so they can switch to the AFO when needing additional stability, to rest their muscle from the electrical stimulation, or for convenience in traveling,” she said. Depending on the patient’s disease status, the therapist explores his (her) understanding of ambulation in MS, as well as what kind of lifestyle they have and desire. The therapist also determines whether difficulty in dorsiflexion is the main reason for walking problems. “Timing up the kinetic chain, such as weakness in hip flexors or hamstrings, or core instability, must be addressed first,” Lien said. FES is contraindicated in pregnancy and epilepsy and when there is a history of cancer, Berry said. If a patient has a pacemaker, the manufacturer’s recommendations are followed. A history of ankle instability, such as from a previous sprain or a structural abnormality, may be a contraindication to FES, Berry added. Patient input is key, therapists say. Some patients cannot adjust to the intensity of electrical current or the complexity of the FES, or don’t have adequate use of their upper limbs to be able to wear it. Initial clinic visits include evaluation of muscle tone and ankle-joint range of motion and strength. A visual gait analysis is also performed: The PT observes the patient’s walking pattern, looking for weakness in the hip or knee. (Regarding the hip: Newer, multi-channel FES models may help with muscles controlling the knee, but neither an AFO or an FES helps hip weakness.) Manual evaluation of muscle tone is an essential part of the PT’s protocol, Berry said, because spasticity around the ankle joint, especially in the plantarflexor muscles, may be made worse with electrical stimulation of the targeted muscle. An initial ankle stretch will determine if tone is going to fight against stimulation, according to Casie Turcotte, PT, of the University of Maryland Rehabilitation & Orthopedic Institute, Baltimore, MD. FES usually will not alleviate drop foot in that case, although anti-spasticity injections may allow it to be effective afterward, she said. FES also is inappropriate if range of motion is inadequate for the foot to dorsiflex. “The stimulation wants to pull the foot up, but without enough ROM, will end up pulling the foot out or in, usually out,” Turcotte said. Disease stage is crucial in assessing which type of assistive device is suitable to the individual, Berry noted. If the patient is in a relapsing–remitting stage of MS, she said, FES may be pursued but, if the patient has entered the progressive or secondary progressive phase, in which case return of function is unlikely, it probably should not be pursued. Cost–benefit analysis of providing an assistive device is eventually necessary in the work-up. Most health-care insurers, Turcotte said, deny coverage because they look at research that shows that both these technologies either reduce or eliminate foot drop—or fail to do so—after the standard 8-week trial. Hank Black is a freelance medical writer based in Birmingham AL. Community walking can be tested using a 10-metre timed walk test, Kempen JC, de Groot V, Knol DL, Polman CH, Lankhorst GJ, Beckerman H. Mult Scler. 2001;17(8):980-990. Clinical implications of benign multiple sclerosis: a 20-year population-based follow-up study, Pittock SJ, McClelland RL, Mayr WT, Jorgensen NW, Weinshenker BG, Noseworthy J, Rodriguez M. Ann Neurol. 2004;56(2):303-306. Gait variability in people with multiple sclerosis, Crenshaw SJ, Royer TD, Richards JG, Hudson DJ. Mult Scler. 2006;12(5):613-19. Functional electrical stimulation for drop foot of central neurological origin, National Institute for Health and Clinical Excellence. London, UK; January 2009. Accessed July 13, 2018. National coverage determination (NCD) for treatment of motor function disorders with electric nerve stimulation (160.2) US Centers for Medicare & Medicaid Services. Publication 100.3. April 1, 2003. Accessed July 13, 2018. Functional electrical stimulation in the home, HealthPartners. Accessed July 13, 2018. Perceived exertion is lower when using a functional electrical stimulation neuroprosthesis compared with an ankle-foot orthosis in persons with multiple sclerosis: a preliminary study, Khurana SR, Beranger AG, Felix ER. Am J Phys Med Rehabil. 2011;93(3):133-139. Impact on activities of daily living using a functional electrical stimulation device to improve dropped foot in people with multiple sclerosis, measured by the Canadian Occupational Performance Measure, Esnouf JE, Taylor PN, Mann GE, Barrett CL. Mult Scler. 2010;16(9):1141-1147. Clinical use of the Odstock dropped foot stimulator: its effect on the speed and effort of walking, Taylor PN, Burridge JH, Dunkerley AL, Wood DE, Norton JA, Singleton C, Swain ID. Arch Phys Med Rehabil. 1999;80(12):1577-83. Polypropylene ankle foot orthoses to overcome drop-foot gait in central neurological patients: a mechanical and functional evaluation, Bregman DJ, De Groot V, Van Diggele P, Meulman H, Houdijk H, Harlaar J. Prosthet Orthot Int. 2010;34(3):293-304. The effect of functional electrical stimulation on the physiological cost of gait in people with multiple sclerosis, Paul L, Rafferty D, Young S, Miller L, Mattison P, McFadyen A. Mult Scler. 2008;14(7):954-961. 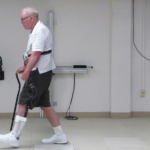 A comparison of orthotic effect of the Odstock Dropped Foot Stimulator and the Walkaide functional electrical stimulator systems on energy cost and speed of walking in multiple sclerosis, Miller L, Rafferty D, Paul L, Mattison P. Disabil Rehabil Assist Technol. 2015;10(6):482-485. Effectiveness of functional electrical stimulation on walking speed, functional walking category, and clinically meaningful changes for people with multiple sclerosis, Street T, Taylor P, Swain I. Arch Phys Med Rehabil. 2015;96(4):667-672. A comparison of the initial orthotic effects of functional electrical stimulation and ankle-foot orthoses on the speed and oxygen cost of gait in multiple sclerosis, Linda (Miller) Renfrew, Anna C Lord, Angus K McFadyen, Danny Rafferty, Rebecca Hunter, Roy Bowers, Paul Mattison, Owen Moseley, and Lorna Paul. J Rehabil Assist Technol Eng. 2018;5:1-9. 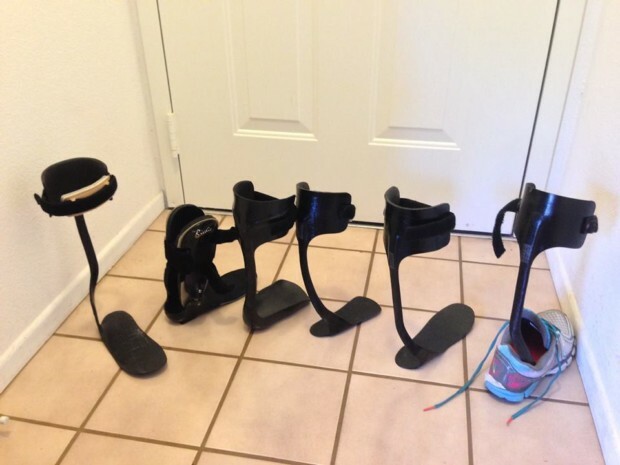 Functional effect of an ankle foot orthosis on gait in multiple sclerosis: a pilot study, Sheffler LR, Hennessey MT, Knutson JS, Naples GG, Chae J. Am J Phys Med Rehabil. 2008;87(1):26-32. 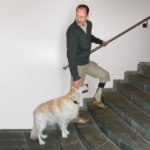 Walking measures to evaluate assistive technology for foot drop in multiple sclerosis: a systematic review of psychometric properties, Andreopoulou G, Mercer TH, van der Linden ML. Gait Posture. 2018;61:55-66. Functional electrical stimulation for foot drop in multiple sclerosis: a systematic review and meta-analysis of the effect on gait speed, Miller L, McFadyen A, Lord AC, Hunter R, Paul L, Rafferty D, Bowers R, Mattison P. Arch Phys Med and Rehabil. 2017;98(7):1435-1452. The impact of walking speed on the effects of functional electrical stimulation for foot drop in people with multiple sclerosis, Miller L, Rafferty D, Paul L, Mattison P. Disabil Rehabil Assist Technol. 2016;11(6):478-843. Decreased central fatigue in multiple sclerosis patients after 8 weeks of surface functional electrical stimulation, Chang YI, Hsu MJ, Chen SM, Lin CH, Wong AM. J Rehabil Res Dev. 2011;48(5):555-564. Experiences of functional electrical stimulation (FES) and ankle-foot orthoses (AFOs) for foot-drop in people with multiple sclerosis, Bulley C, Mercer TH, Hooper JE, Cowan P, Scott S, van der Linden ML. Disabil Rehabil Assist Technol. 2014;10(6):458-467. Classification of walking handicap in the stroke population, Perry J, Garrett M, Gronley JK, Mulroy SJ. Stroke. 1995;26(6):982-989. What does walking speed tell us about recovery from stroke? Lynskey J, Wing K. Presented at: American Physical Therapy Association Combined Sections Meeting, Chicago, February 2012.